General mass build discussion thread. I think the "announcing the mass build" thread has stretched far beyond its original intentions. With the sad loss of Dave Burton (BEB) I think we owe it to him to keep ourselves organised and run a nice tight mass build and encourage as many folk as we can to join in. So, could folk announce their intentions in this thread, then each builder should start their own build thread in the "2019 RCM&E Fly-in Mass Build" topic. That way we can follow each build separately rather than see one thread that chops and changes between different models. But only Pete has started his own thread. First question, am I missing something, but I can't find any detail on the centre section of the wing. The drawing shows the other wing section and then not much as if it should be depicted somewhere else. Just need the rub spacing for the inner ribs? Sad to hear about the loss of BEB. I did not know him however but had seen many posts from him on the Forum. 1.Who is now the main moderator of the mass builds? 2. In the initial announcement there was mention of a meet up at Buckminster for the build. Is that still the plan? 3. Any idea what the winning Lottery numbers are for next Saturday? 4. Any chance we could get the designer Lyndsey Todd on board? Chris there is no centre section. Looking at the plan it shows a whole wing half which ends at the dotted line. It shows one of the two location dowels. Does anyone have any idea where this part fits? (6mm Triangular 2 off). 1. We don't have a main moderator. None of us are available all the time but hopefully there's always one or more of us looking in. 2. Yes there's an RCM&E fly in this year at Buckminster on 14-15 Sept.
3. Keeping those to myself. 4. I can certainly PM Lindsay and as if he'll have a look in. I was wondeing the same thing too. The plans seem to only show the left wing. how is everyone tackling the right wing and centre section? There is a very useful build article available on the rcm and site. Shows centre section of wing. 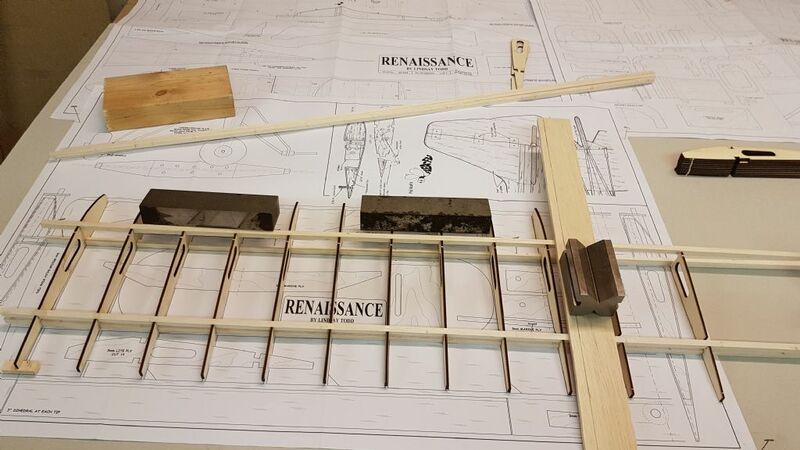 To find the build instructions Search "Renaissance" using Search this Site. 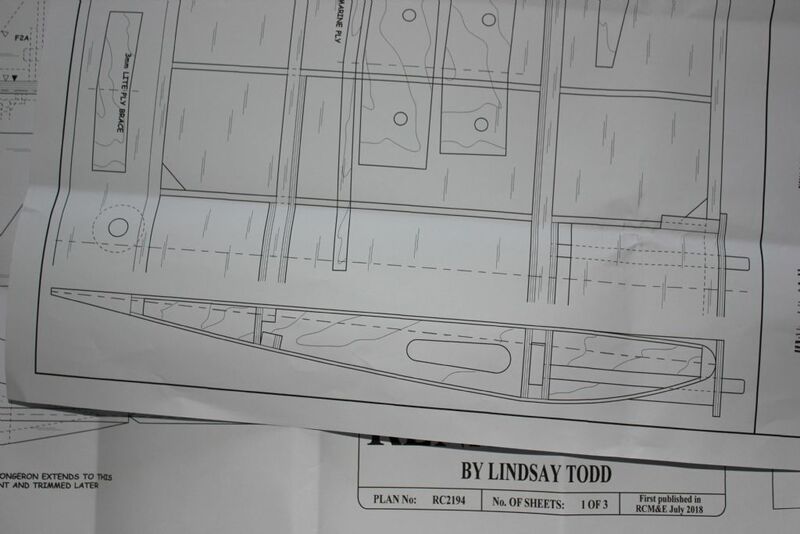 Also you will find Lindsey Todd's original build blog on the prototype. Good spot LPP, I'd forgotten that there's an on line build article is here. Hi, I think someone may have replied to this but they are top and bottom of the tail seat where the fuselage joins at the tailplaine. 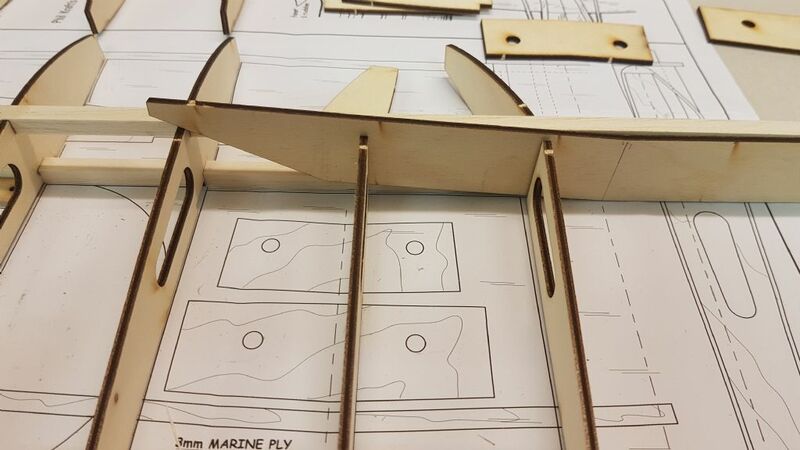 There is also a thin piece of ply that provides a support for the tail wheel. 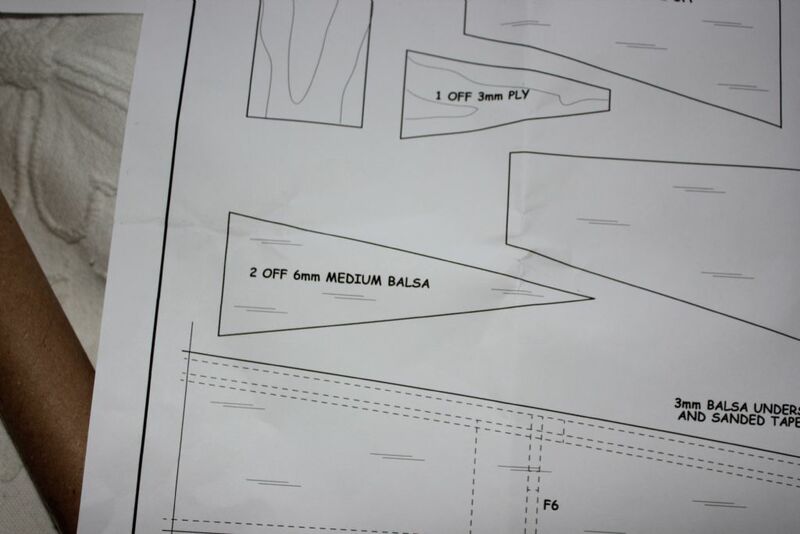 They look like the rear infils to fuzz, tailplane seat and tailwheel support, plan says 3mm though ? That looks great Tony. 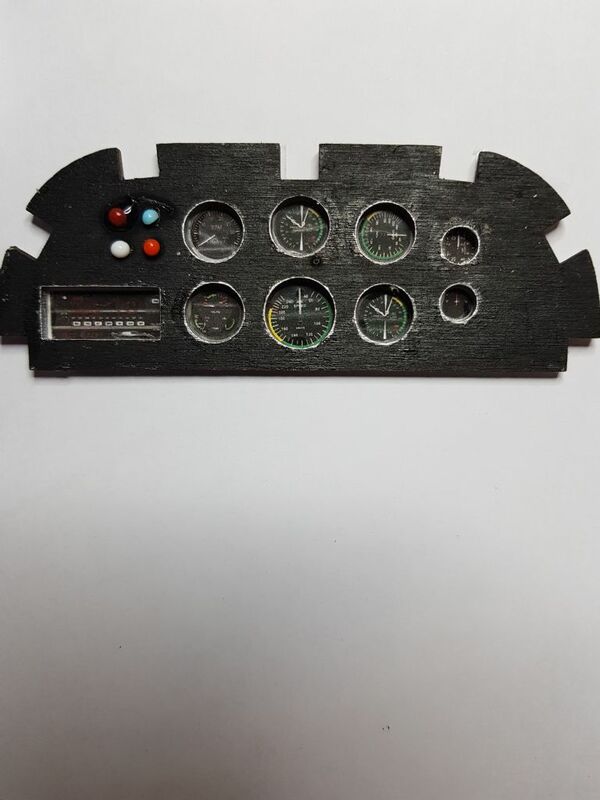 Can I send you my panel for finishing please Are those Pin Heads perchance? I must be thick coz looking at the build and my drawing i have a different number of ribs! Plus I have a couple spare even using the existing 11. Strange as if I just use them it all makes 53 inch wingspan. And while I am on the subject are two of the ply parts that set the dihederial too long. I can cut them back to fit or am I missing something? I agree Chris. Plan shows 11 each per wing. The parts supplied from SARIK are 24 ribs so there are 2 extra ones. 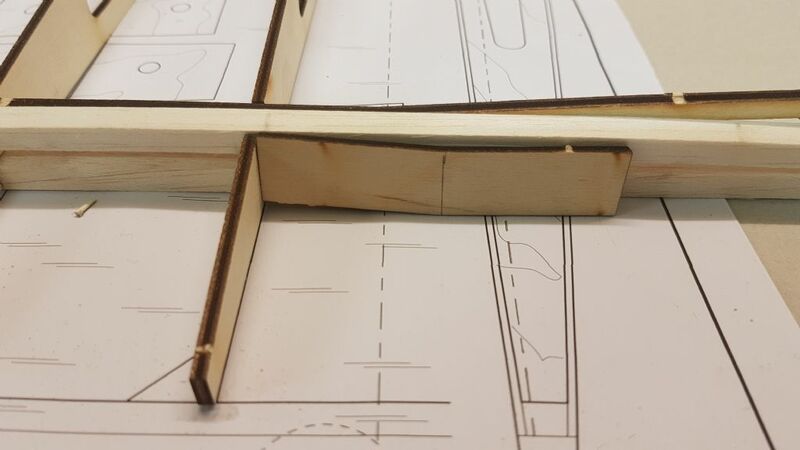 I had already considered making an extra one for the centre joint of the 2 wing halves so I will be able to use these extras on the centre line. Chris I think there are in total 3 main ply plates that show dihedral. 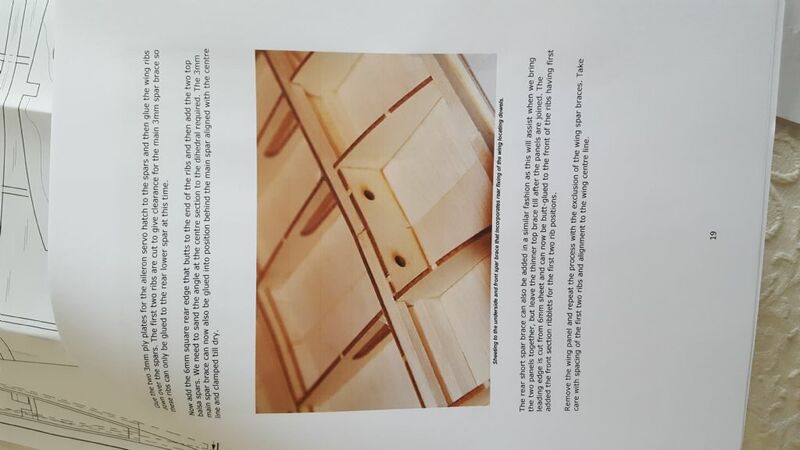 2 with holes for wing dowels which are different lengths and the main one which will install by the ribs. Don't cut anything until you are sure of dimensions. Remember measure twice and cut once, or u could be sorry. Here are the two photos (nothing glued) but you can see the large and medium size braces appear to be the wrong size or is it just me?